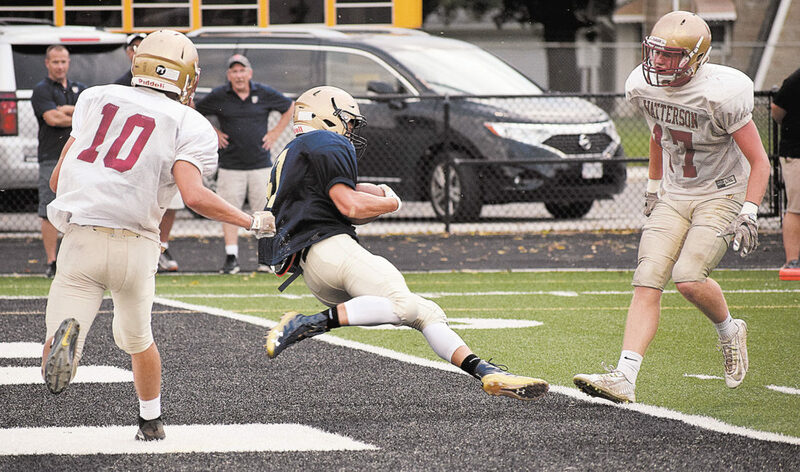 Columbian’s Drew Koerper gets past the Bishop Watterson defense for a touchdown during a pre-season scrimmage at Frost-Kalnow Stadium Friday. The Tornadoes posted a 9-7 victory in two quarters. To view more photos from this event, visit cu.advertiser-tribune.com.